Home » an academic » Facts » Knowledge » Planet Earth » Plants » Science » How Do Plants Actively Communicate With Each Other? How Do Plants Actively Communicate With Each Other? The smell of freshly cut grass brings to mind a summer vacation or picnics in the park and associations, at least for us. However, for plants, that same sent is a harbinger of a serious danger. When a plant is injured say by the spinning laid to lawn mower or a very hungry caterpillar. Pungent chemicals pour out of the wounds walked into the air and stick our noses and also to the leaves and stems at nearby plants. Over many generations, eavesdropping plants have evolved to interpret each different combination of compounds as the signature of the specific imminent threat. 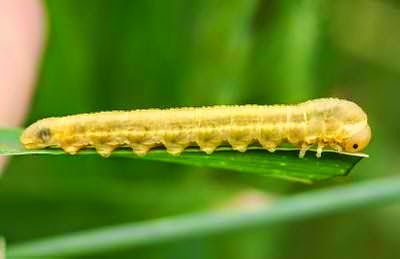 The scent that corresponds to caterpillar, for example, prompts plants like tomato and tobacco to turn out better toxins in their leaves—making them yucky. Plants can actively communicate too. Some like corn and cotton can summon other animals as defenders. They emit bouquets of chemical compounds that attract parasitic wasps—which injects their eggs into the nutritiously pump caterpillar's. So, the larva can eat them from the inside-out—TEAMWORK! Plants gossip below ground as well. If you seal the tops of tomato plants in airtight plastic bags and expose one of them to harmful leaf disease. However, plants can also use what they learn about their neighbors for nefarious purposes. 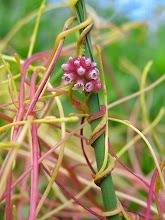 Parasitic dodder vines (Cuscuta) sniff out and steer towards their preferred hosts instead of flailing around blindly. Another vine (like Boquila trifoliolata) somehow grows leaves of different shapes and sizes to match those at the tree or shrub it’s climbing on—using its host for both support and camouflage. Whatever the purpose, self-defense, parasitism or mimicry plants have been chatting and eavesdropping in complex social networks since long before Facebook, texting or even the telegraph invented. Thank you for reading How Do Plants Actively Communicate With Each Other? posted on the website Kwentology if you want to redistribute this article please include the link as the source. Have some kuwento to share? Contact us!